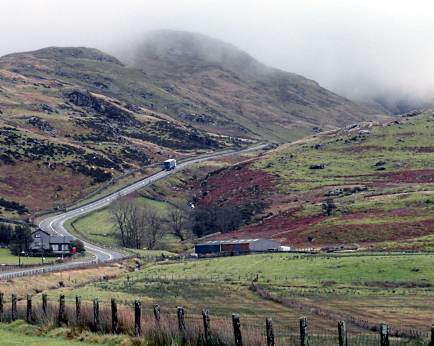 Two of Wales's biggest passes this morning: Bwlch Oerddrws and Bwlch y Groes, both of which sound like someone being sick, which is appropriate. I don't know how high Bwlch Oerddrws (above) goes, because the Wikipedia page suddenly switched from English into Welsh when it knew I was reading it. 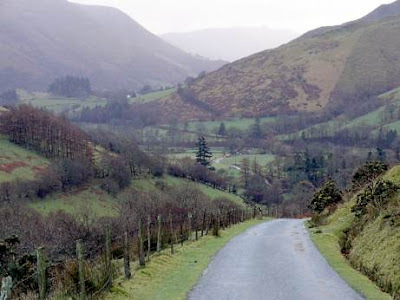 Bwlch y Groes I do know. 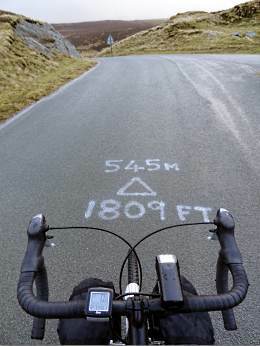 It's the highest tarmac road in Wales, at 545m / 1809ft, thanks to someone chalking those very figures at the summit (above two). Wow: 545m, and I didn't get off and push for one of them. That one was the very last one, when the road levels out. 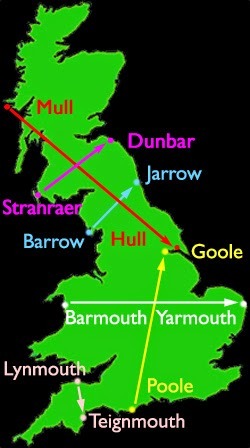 The approach from the south really is a pig (above), a mile and half of at least 1 in 7. The OS map is just a mass of arrowheads, an explosion in a shelf-bracket factory. From the summit I headed east and downwards, across fantastically remote mountaintop country. I was sped by a big tailwind along the shore of Lake Vyrnwy and ultimately to Oswestry Travelodge (above), booked back in December through their release of £12 offer rooms. 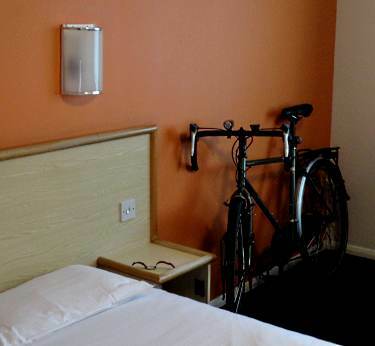 I'm quite a fan of the in-room bike parking. Good luck with the trip. 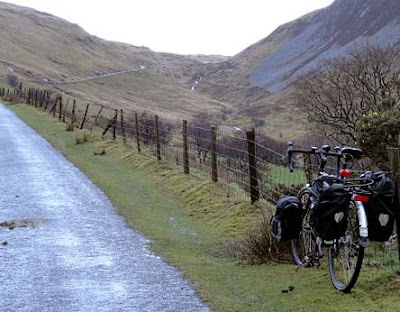 And remember that Welshcakes are excellent cycling fuel.